Specializing in cultured vegetables and coconut kefir to support digestive health, our mission is to provide the resources to create a balanced inner ecology and healthy immune system. Our clients are making their mark in the independent food community. Alice’s Sweet Tooth has a modern take on the traditional French Meringue Kisses. They use the highest quality organic and sustainably sourced ingredients. Their cookies are certified non-GMO and are naturally gluten-free. The Art of Caramel features all-natural air-popped corn blanketed in light, flaky caramel, all flavored with notes from fresh, gourmet ingredients and premium liquors. It’s anything but old-fashioned. Each and every cake is handcrafted in our Los Angeles kitchen, then immediately packaged for maximum freshness. Cake Bams are the perfect snack to pair with your afternoon coffee, great for busy moms on the go, and loved by fit families around the world. Crispy snacks filled with protein from peas, nutritional yeast, almonds, brown rice, quinoa, and powerhouse seeds like flax and chia. It’s a unique blend that delivers crunch, flavor and health. LA based, entirely vegan, gluten and soy free brand made with Luv! A portion of all profits go to local animal charities. Beauty Bar Chocolate is a sugar-free, raw chocolate bar that helps relieve stress, fights fatigue and balances hormones all while giving your skin that natural spa glow. It’s made with hand selected super-foods, adaptogens and pearl collagen. Each cookie is individually handcrafted with just the right amount of mix-ins and stuffing. Soft yet crunchy on the outside and gooey on the inside. Foodspoon was founded on a simple principle, to make foods that taste and feel great using smart ingredients and formulas designed with our health in mind. 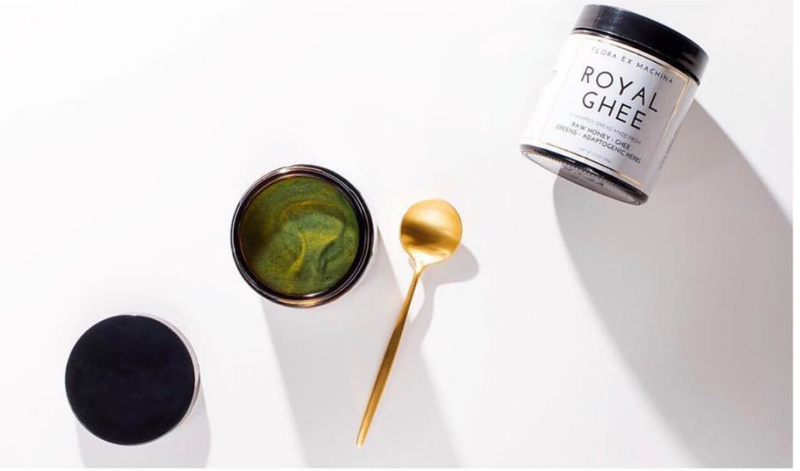 Inspired by the traditional nutritive Ayurvedic spread, Chyawanprash - We’ve taken the same principles and westernized the overall vibe and ingredients to create a delicious whipped honey butter.